Cynthia McKinney speaks at Munich Germany Peace Rally during her visit to receive the ‘Peace through Conscience’ award from the Munich American Peace Committee. Video starts end of the peace march. Many in the special interest press are cynically reporting the President’s speech tonight as an “Afghanistan exit plan.” We have now reached the point where those who make and interpret current events think they can make us believe that war is for peace, ignorance is strength, slavery is freedom, and lies are the truth. Well, we know the truth, and we will not rest until every drone is stopped and no more bombs are dropped. We will not rest until peace is won. Dr. Martin Luther King, Jr. said there comes a time when we do what we must because our ultimate measure is not where we stand in moments of comfort and convenience, but where we stand at times of challenge and controversy. At this time of challenge, we are clear: we will not give up and we will not stop. Cynthia McKinney was the 2008 Green Party candidate for U.S. President. State Illegally Barring Green Party Access To Ballot FOR IMMEDIATE RELEASE August 27, 2009 LITTLE ROCK, AR The American Civil Liberties Union and the ACLU of Arkansas filed a lawsuit today in a federal court in Arkansas challenging Arkansas Secretary of State Charlie Daniels' decertification of the Green Party of Arkansas as a political party. The lawsuit, filed on behalf of Arkansas voters and the Green Party, charges that the decision violates state law and the free speech rights of third parties. "The First Amendment protects not only the right of third parties to compete in the political arena but also the right of individual voters to support the candidates who best reflect their political views," said Bryan Sells, a senior staff attorney with the ACLU Voting Rights Project. "A lot of voters are dissatisfied with the choices offered by the major parties, and Secretary Daniels' decision means that the voters of Arkansas could have even fewer choices on the ballot when they go to the polls in the next election." Daniels' decision to decertify the Green Party stems from a state law requiring a political party's candidates to earn at least 3% of the total votes cast in gubernatorial or presidential elections in order to retain access to the ballot in the next election cycle. In the 2008 election, the Green Party's candidates received hundreds of thousands of votes, far surpassing the 3 percent threshold. Green Party candidate Richard Carroll won a seat in the State House of Representatives, and several other Green Party candidates for the U.S. House and Senate earned over 20 percent of the vote. Daniels nonetheless decertified the Green Party because its candidate for president, Cynthia McKinney, did not earn more than 3 percent of the vote in the presidential race. Israeli forces have boarded a ship trying to carry aid and pro-Palestinian activists to the Gaza Strip in defiance of Israel’s blockade of the territory. The 20 passengers include former US congresswoman Cynthia McKinney [2008 Green Party presidential candidate] and Nobel Prize winner Mairead Maguire. Ms McKinney described it as “an outrageous violation of international law”, as the boat was on a humanitarian mission and was not in Israeli waters. 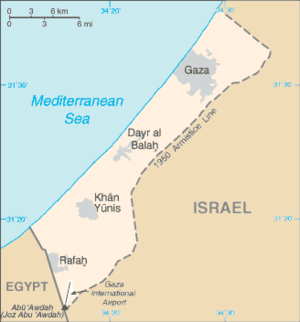 The Israeli military said the boat was trying to enter Gaza illegally. The US-based Free Gaza Movement has breached the blockade five times since August 2008. Two other attempts by the activist group were stopped by Israeli warships during Israel’s three-week military offensive in Gaza in December and January. Israel keeps a tight hold on Gaza, which has been ruled by militant group Hamas since June 2007, having seized control of from its rival, the Fatah-led Palestinian Authority. The Israeli military said the passengers and crew of the Greek-registered ship Arion would be handed over to immigration authorities in Ashdod, and its humanitarian aid cargo would be taken to Gaza by road after a security check. “An Israeli navy force intercepted, boarded and took control of the cargo boat Arion … as it was illegally attempting to enter the Gaza Strip,” a military spokesman said. The mission is the latest by the Free Gaza Movement, which has renamed the ferry boat Spirit of Humanity. “This is an outrageous violation of international law against us. Our boat was not in Israeli waters, and we were on a human rights mission to the Gaza Strip,” said Ms McKinney in a statement. On Monday, a report by the International Committee of the Red Cross described the 1.5 million Palestinians living in Gaza as people “trapped in despair”, unable to rebuild their lives after Israel’s offensive. Donors have pledged $4.5 billion for reconstruction and rehabilitation in Gaza following the 22-day offensive which left more than 50,000 homes, 800 industrial properties and 200 schools damaged or destroyed, as well as 39 mosques and two churches.